By now, most of the members of this forum will have heard about the Army G1’s three incentive programs to strengthen officer retention. The first offers cadets, both USMA and ROTC, the opportunity to attend graduate school at government expense in exchange for an active duty service obligation (ADSO) of eight years. The second gives cadets the chance to select branches they might otherwise not have gotten; again, the cost is an eight-year ADSO. The third allows cadets to choose posts for additional ADSO. Here are the results for the USMA Class of 2006: a total of 331 cadets will have eight-year active-duty obligations. That’s 38% of the 878 who will be commissioned into the Army. 236 took the graduate school for additional service option; 61 participated in branch for service; and 34 cadets got their choice of post for ADSO. I understand that the graduate-school-for-ADSO program will also be offered to junior officers, but I don’t know which year groups will be involved. This report may be shared with anyone who may be considered a member of the West Point Community; graduate, spouse, family, descendant, parent, friend all come to mind. This report includes ring recovery activity and finances for the period 1 July – 30 September, 2005. We recovered two class rings in this period, and initiated purchase of a third. 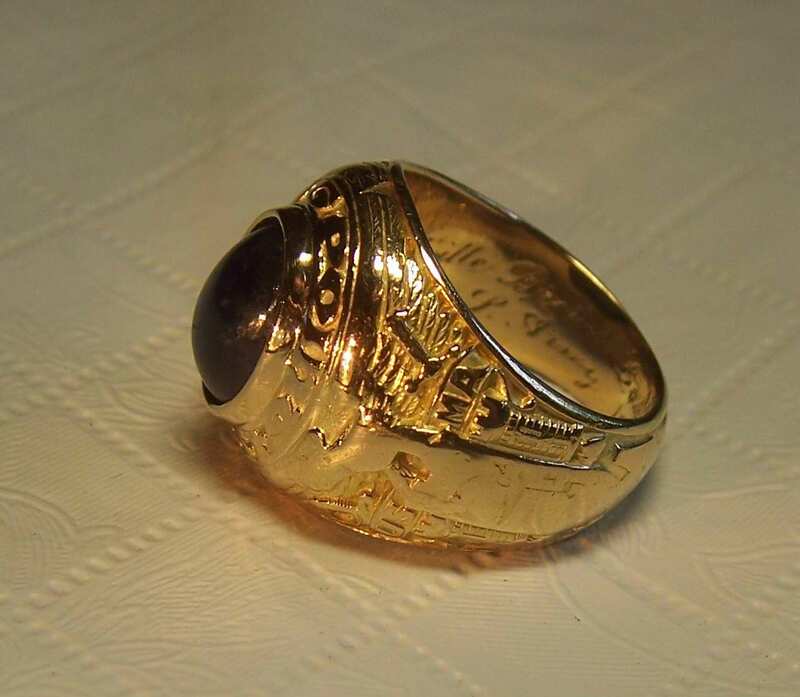 The Class of 1935 ring of the late Major General Melville Brown Coburn, 10447 was recovered from an Ebay seller on 2 July. His widow preferred that the ring go to West Point rather than be returned to her. Consequently, we donated the ring to the Military Academy Museum where it became the first example from this class to join the collection. Here is a photo of this ring, about 100 Kbytes in size to that it can be more easily downloaded through a dial-up modem. The second ring was also a Class of 1935 ring that of the late Lieutenant General Harry Herndon Critz (who, incidentally, as a Major General was my Commanding General in the 1966-1967 time frame at Fort Sill). This ring had been stolen not long after General Critz’s death in Lawton, Oklahoma on 2 May 1982. 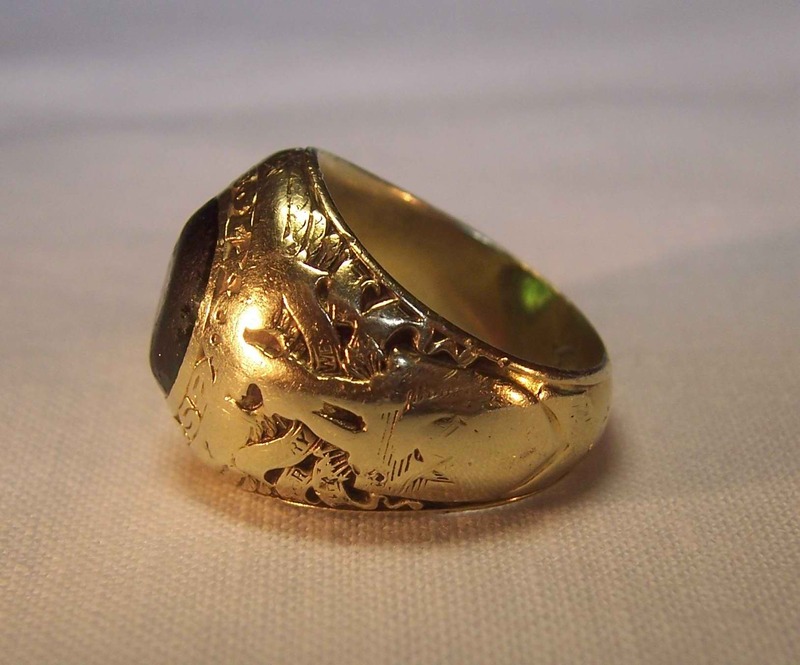 It was recovered on 14 July from a person who had contacted AOG to begin an effort to dispose of it after "my son found the ring in a curb side gutter on his way home from school when he was nine. He’s now 21." In the intervening 12 years, the ring sat forgotten in the bottom of a cigar box. We were delighted to be able to bring this ring back into the hands of the West Point Community by returning it to General Critz’s daughter, Terry Mericle, and her husband, Colonel (Ret’d) Russell Mericle. Here is a link to a photo of the ring, also about 100 Kbytes in size. The third ring was the initiation of the purchase of an unnamed Class of 1994 ring that had been purchased from an Ebay seller who is a friend of West Point and who desired to begin the process of returning the ring to the West Point Community. This purchase is not yet complete, however. This ends ring recovery activity in the 2nd Quarter of 2005. Our financial activity for the this quarter may be seen at this link. We are overdue with a report for the 4th Quarter and we will send that report along shortly. or contact me directly. We’ll be glad to sign you up; only takes a minute and it takes a lot less than that if you wish to unsubscribe later. Yosoufzai, then a sophomore at Kabul University, wanted to follow his father’s footsteps to help his country’s military become more professional. He could have pursued a military academy education in Kabul where his family lives, but instead applied to West Point, which he calls the top military academy in the world. He comes to the academy under the international cadet program designed to generate goodwill and inculcate American military ethics and values abroad. The long-running program has taken in cadets from dozens of countries, from Nigeria to Singapore to Croatia. On March 8th, the Army Womens’ Basketball Team fought back from a 10 point deficit in the second half to win the Patriot League Championship game 69 -68 over Holy Cross. The team will now go to the NCAA tournament. There were over 1000 cadets in attendance and they rushed the court at the final buzzer lifting the Army players and coach on their shoulders. You can read the full article in the local press. To see an online video of the last seconds of the game, go to the GoArmySports.com article and you will see video links at the top of the text to play. On Monday, 13 March at 7:00 pm ET, the pairings for the Women’s Basketball Team for the NCAA Tournament will be announced. This will be Army’s first trip ever to the NCAA tournament. Secretary of Defense Donald H. Rumsfeld announced today that the President has nominated Army Lt. Gen. Franklin L. Hagenbeck for reappointment to the grade of lieutenant general and assignment as superintendent, U.S. Military Academy, West Point, N.Y. Hagenbeck is currently serving as deputy chief of staff, G-1, U.S. Army, Washington, D.C.
Monday morning a contingent from West Point to include the 2007 Vice President, Cadet Tim O’Connor, the Ring & Crest Chair, Cadet Tim Allen, Cadet Dan Fisher (nephew of one of the donors), the Class OIC, MAJ Mike McCoy ‘97 and the Class Advisor and Regimental Tactical Officer, LTC Tom Macdonald will accompany John Calabro and me to the ceremony at the Pease & Curren refinery in Warwick, RI, to melt the twelve rings that have been donated to the program. We will be joined there by two living donors and the families of three other donors. As in the past it will be a solemn ceremony. A news release is available with more details. One addition to that release is that in addition to the 12 rings donated this year I will be bringing back a sample from last year which contains some gold from every one of the 91 rings previously donated to the program. The management and staff of the Pease & Curren refinery have been full partners in this process for the past five years and have offered their services gratis. The Assembly is your alumni magazine, operated and supported through your subscriptions. It includes current events at West Point, exciting feature stories, “Class notes,” memorial articles, and much more. ASSEMBLY, the magazine of record for the Long Gray Line, is your way of staying in touch with classmates and West Point graduates all around the world. Please accept on our behalf, a complimentary copy of the current online version. The Assembly magazine! It’s one more way AOG supports your quality of life from gray to green and beyond!! Should you subscribe to the Assembly and/or order the Register today, you can lock in the prices below for your subscription length. For your convenience, we’ve included our web page address for you to order your subscription at www.aogusma.org . Your selection to subscribe will secure your order of the Assembly at the current price along with authorizing AOG to withdraw the selected amount from your credit card.